TR-0920 Light brindle color leather base. Accented in turquoise color. Home > Tablerunners > TR-0920 Light brindle color leather base. Accented in turquoise color. Light brindle color hair on cow leather base. 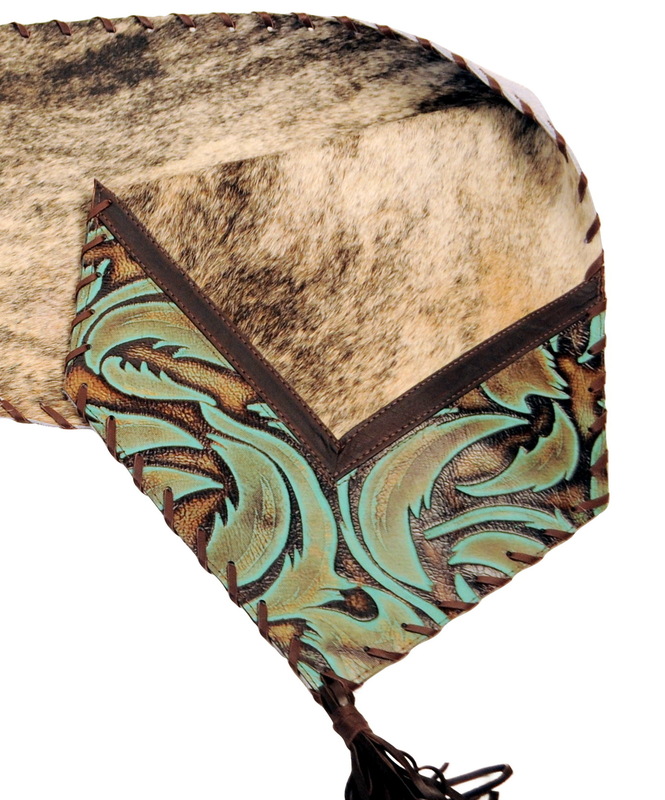 Accented with turquoise color embossed leather swirl V shaped tips and center section. Sections have a brown leather underlay divider. Outside edges are laced in a brown leather lace. Brown leather tassel on each tip. Size options: 12" X 54" , 12" X 72" or 14" X 72"